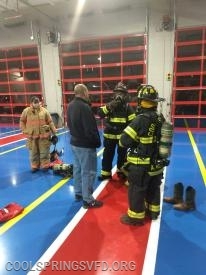 On Monday nights our members spend time training to be better at the different aspects of firefighting. 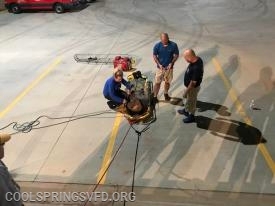 On this particular Monday night our members trained on Personal Protective Equipment (PPE) and Self Contained Breathing Apparatus (SCBA). 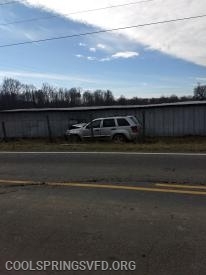 Cool Springs Engine 2 was responding to medical call on I-40 and had just arrived on scene when the tones hit a second time this time for a traffic accident. 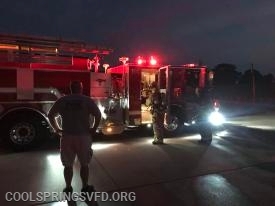 Cool Springs Engine 2 checked with County Line VFD units already on scene of medical call and they did not need our assistants. 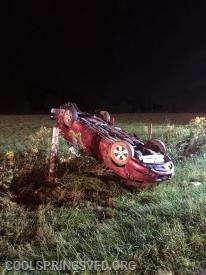 Engine 2 then cleared the interstate call and was en route to traffic accident. 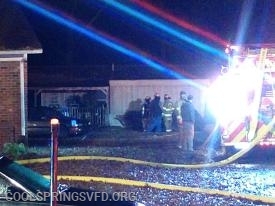 Around 2:30 Cool Springs was dispatched to a MVA vehicle rollover. 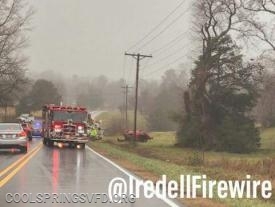 Engine 2 arrived on the scene to find a multi vehicle accident with one overturned. 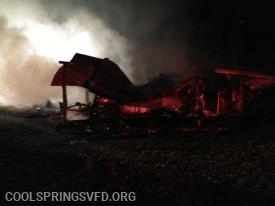 Copyright © 2018 Cool Springs Volunteer Fire Department, Inc. Duplication of text, photos, or any other content on this website is prohibited without permission of CSVFD. 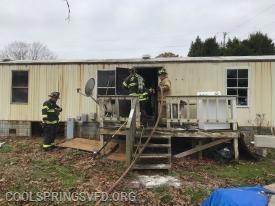 If you would like to use our content, or you have a comment or suggestion, please contact us at info@coolspringsvfd.org.